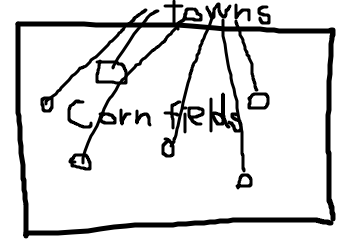 Iowa is pretty much all cornfields with some towns and cities scattered across the land. In Japan, cities are connected to each other. In other words, the cities are next to each other; for example, you could cross a border from one city to another and you would't know the diference.